LCC V Bury 13th July @ Home. Winning the toss we put Bury into bat. But an accurate and sustained attack by 7 Lodsworth bowlers and some great keeping from Rix kept Bury in check. The pick of our fielders was Andy Long (28 for 5 from 11). By tea the visitors had crept to a respectable score. Joe Waller opening for Bury saw of our opening pair but Finn Campbell(31 n/o) and Tom Atkins (87 n/o) were just too good for them. And we romped to an emphatic victory. 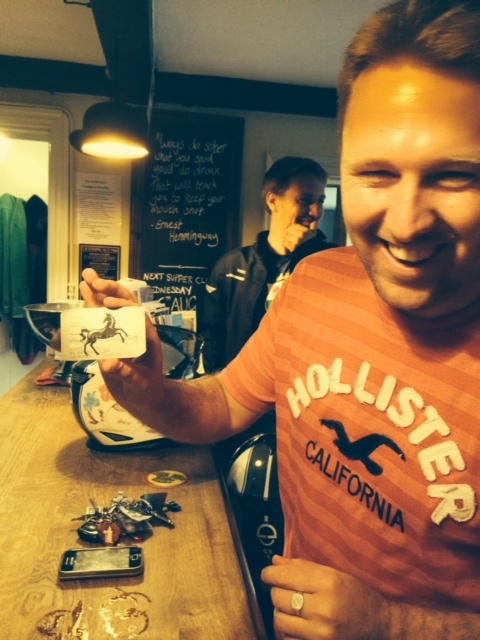 Glad of a better performance this month we celebrated by washing down the remains of our ample tea with ample beer…We even have a photo of Andy with bankcard at the bar!